Why Choose Thompson & Morgan? Did you know that Thompson & Morgan has been supplying seeds for more than 160 years? From William Thompson's humble beginnings in his father's garden at the back of his shop in Ipswich, Thompson & Morgan has successfully grown into a market-leader, supplying seeds to over 22 countries world-wide. The company has remained loyal to its roots by keeping its head office in Ipswich and its trial grounds nearby, also in Suffolk. However, it's not just our roots that make us stand out from other companies. We are always striving to meet our own high standards and it's nice to receive praise and recognition from customers as well as the industry. As a result we have won numerous awards including Which? Gardening magazine 'Best Buy' awards and Gardener's World magazine awards. 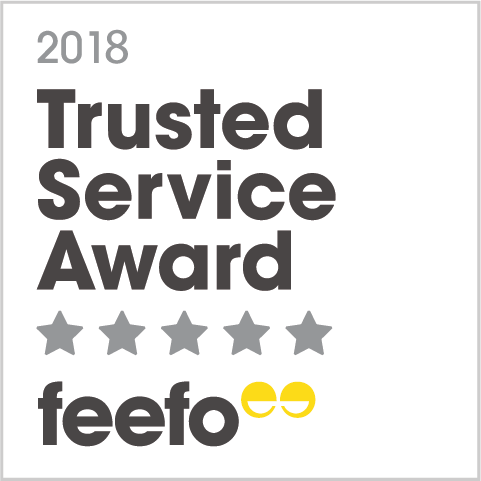 Nevertheless, it's not just about getting awards; we want our customers to be happy with the results they get from our product and to return to us year after year. Our number one aim is to continually provide top-quality, and top-performing seeds and plants along with great customer care. 100% Quality Satisfaction Guarantee - Our aim is to provide home gardeners with the very best quality plants that money can buy. Many varieties are just so good, we're prepared to offer you a full refund if you think you've grown better. Plants are despatched at the right time for planting, and with full cultural instructions. However, if any of our products does not meet your expectations of quality, we'll offer a replacement, credit or refund. Price Promise - We don't promise to match competitors' prices - we promise to beat them! Find your plants or seeds cheaper in another mail order catalogue and we'll give you back triple the difference! Click here to find out more about our Price Promise. Great Value for Money - We're always trying hard to give our customer great value for money, which is why we always offer a fantastic range of great value special offers. Our own Breeding Programme - We are one of the few UK seed companies to run a dedicated flowerbreeding programme, we specialise in unusual annual and perennial species. Charles Valin, T&M Plant Breeder, is in charge of the breeding programme and has successfully bred a number of new and exciting varieties including - , Digitalis 'Illumination Pink' which won the RHS Chelsea Flower Show Plant of the Year in 2012, Buddleja 'Buzz'® and Cosmos 'Lemonade'. To find out more about our breeding programme, click here. Hassle free shopping - You can enjoy hassle free shopping from the comfort of your own home with our award-winning website. Here you can sign up to receive our email newsletters to be the first to hear about fantastic money-saving offers and exclusive products. Buy more and save - The more you buy, the more you save. Look out for our special offers and huge savings on multi packs and plant collections. Expert Advice - We offer a whole host of 'how to' guides as well as a selection of easy to follow video guides. All of which have been compiled by our experts to make it easier for you to try new things, or perhaps you just need a bit of inspiration on finding plants for those difficult areas of your garden! Best in Class - There are many varieties throughout our catalogues that we believe are the best in their class. If you don't agree with us and want to claim a refund of your money. Click here to find out more about our Best in Class policy. Horticultural Advice - We often get asked for gardening advice from our customers, some of which can be quite technical and detailed and so our team of horticultural experts have compiled a list of the questions along with the advice we've given click here to read more. T&M Community - Join in the debates on our Facebook, Twitter, T&M Blog or in our Gardening Community Forum. Why not sign up to our newsletters to be the first to see our new products and exclusive offers! £500 reward when you find or create a new plant - If you can find or create a brand new plant variety we will pay you £500 (or more!). To find out how to do your own plant breeding at home you can order a FREE leaflet or click here to find out how.